One of the brightest, best young pop-punk bands in the game, Albany, New York’s State Champs burst onto the scene with their debut album ‘The Finer Things’ and haven’t looked back since. A sunshine-filled follow-up followed in the form of ‘Around The World And Back’, as did tours with All Time Low and Sleeping With Sirens, stints on Vans Warped Tour, huge sets at Reading & Leeds Festival and a deluxe edition of ‘Around The World…’ featuring new songs and a tour DVD. Oh, and State Champs - currently comprised of members singer Derek DiScanio, guitarists Tyler Szalkowski and Tony Diaz, bassist Ryan Scott Graham and drummer Evan Ambrosio - also contributed a cover of ‘The Sharpest Lives’ for the ‘Rock Sound Presents: The Black Parade’ covers CD. Awesome. Another big moment from the final cross-country Warped Tour. Bit of a flop, really. From dawn to dusk- the lads in State Champs walk us through a day in the life of Warped Tour for them. Derek DiScanio and Tyler Szalkowski talks us through their earliest memories of attending Warped Tour, their fave lineups and reveal who they most like to hang out with on the road. Bathbombs and cocoa and hot sauce, OH MY! Derek and Tyler fill us in on what studio sessions were really like with the Blink-182 bassist. The band's long awaited new album 'Living Proof' is about to drop. 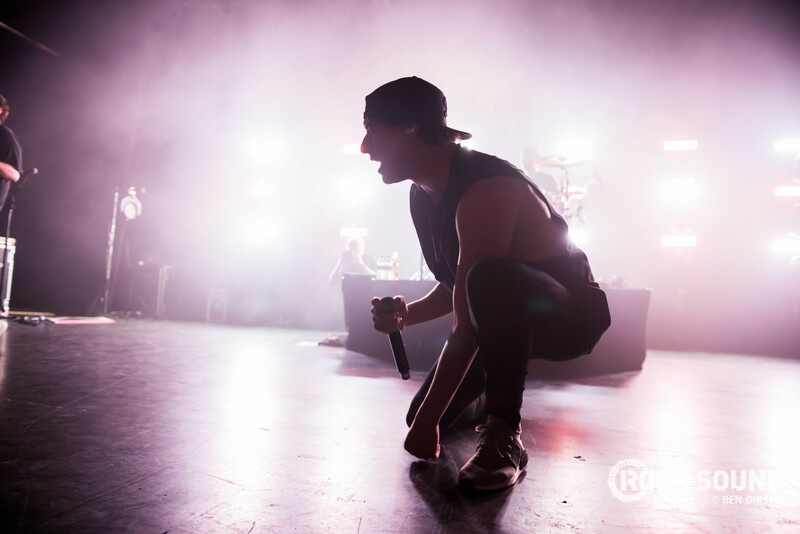 State Champs are kicking off their new 'Living Proof' era in style at Slam Dunk. Ben Gibson was there to capture the whole thing. Banger after banger after banger. The rules are simple - 30 questions, pick 7, answer them. Easy right? This week, it's the turn of State Champs lead singer Derek DiScanio. When did he last yell at someone? When was the last time he cried? And what's the worst piece of advice he has ever given? Judging only from the first two singles, 'Living Proof' is already pop-punk perfection. The most important State Champs quiz you may ever do.